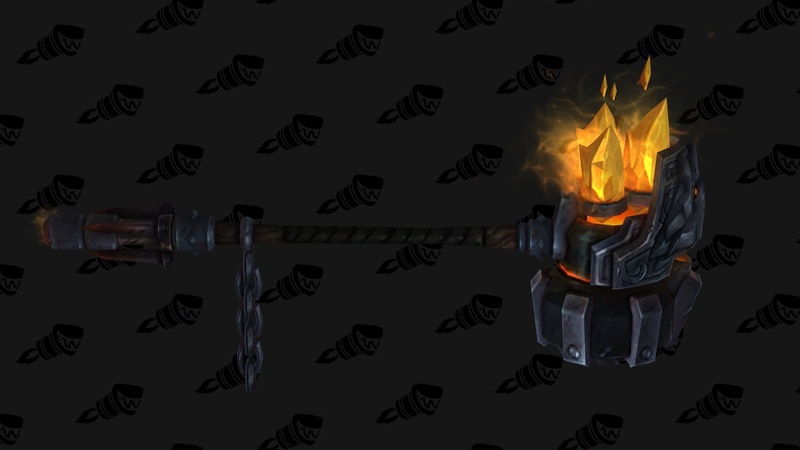 There are more than just the standard Artifact Appearances in World of Warcraft: Legion, there are hidden ones. 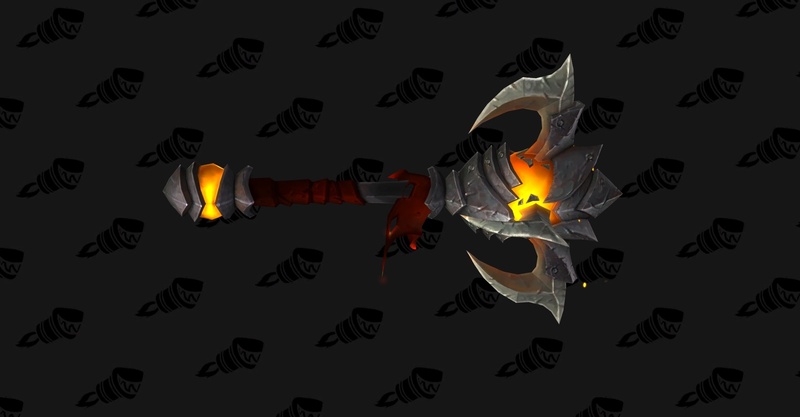 All 36 artifact weapons have a hidden appearance, and 4 total colors for that appearance. You can unlock these in many different ways, from just buying an item, to getting one from a random drop. I’m going to go over all of the known ways to get hidden appearances so far. It is not known how to get some of the appearances, so I’ll update when I find out. 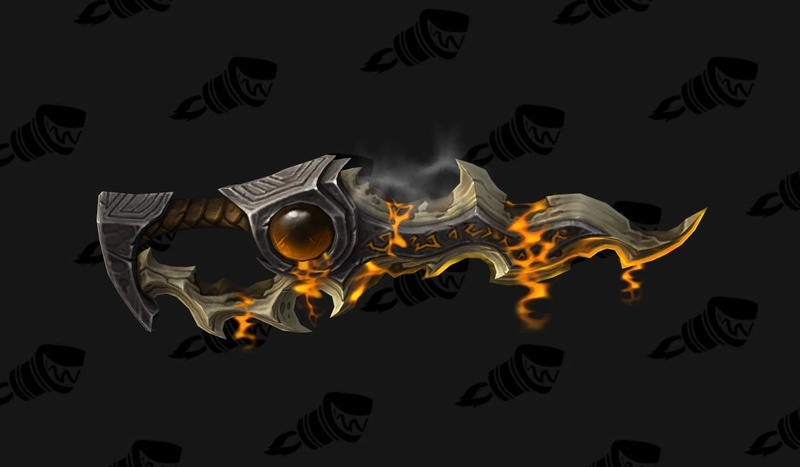 You can see what each color looks like by visiting wowhead. 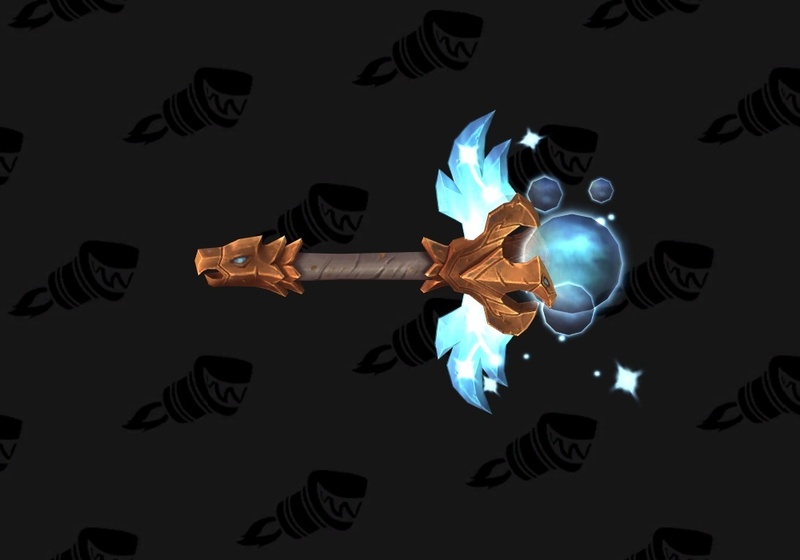 Unlocking Alternate Hidden Artifact Weapon Colors – How to get each alternate color of the hidden artifact weapons. 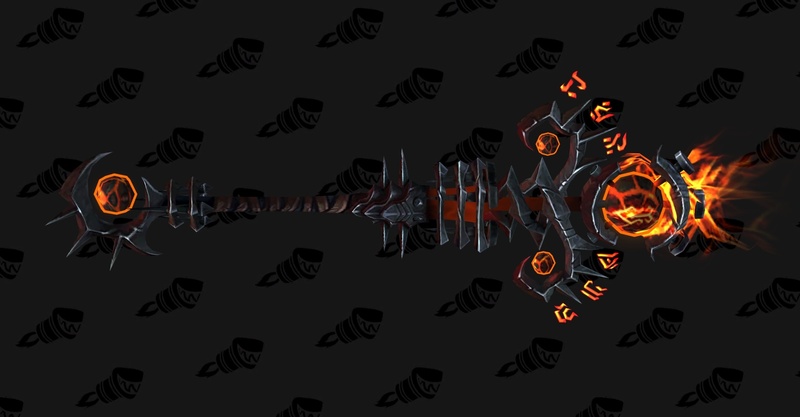 Death Knight – The hidden appearances for each artifact weapon and how to get them. Unlocking the first hidden appearance is different for each weapon, but getting the other 3 colors for it is the same for every weapon. 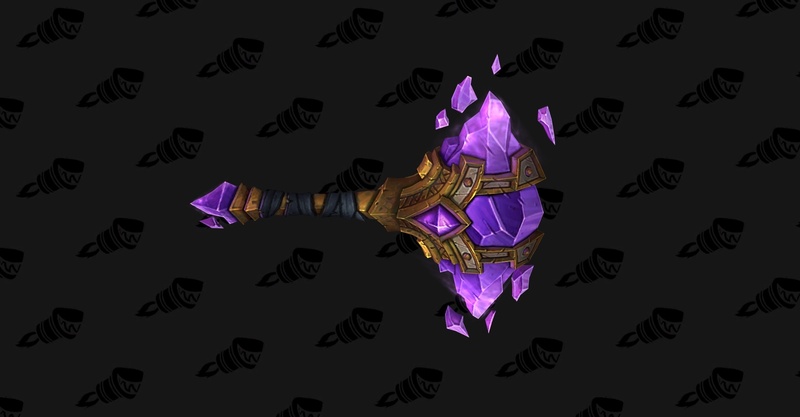 You can get this by looting the large chest at the end of “The Collapse” Scenario in Suramar, which requires 10 Withered. First, you need to get Candrael’s Charm. This is a random drop from enemies in Suramar. Once you get it, go west of the Felsoul Crater area in Suramar and up a cliff until you reach Candrael Twinshadow. After talking to her with the charm, she kicks you to a felbat boss, Downfall. Defeat Downfall to get the hidden appearance. You need to upgrade your order hall to tier 2, available at level 105, and select the Twisting Nether upgrade. 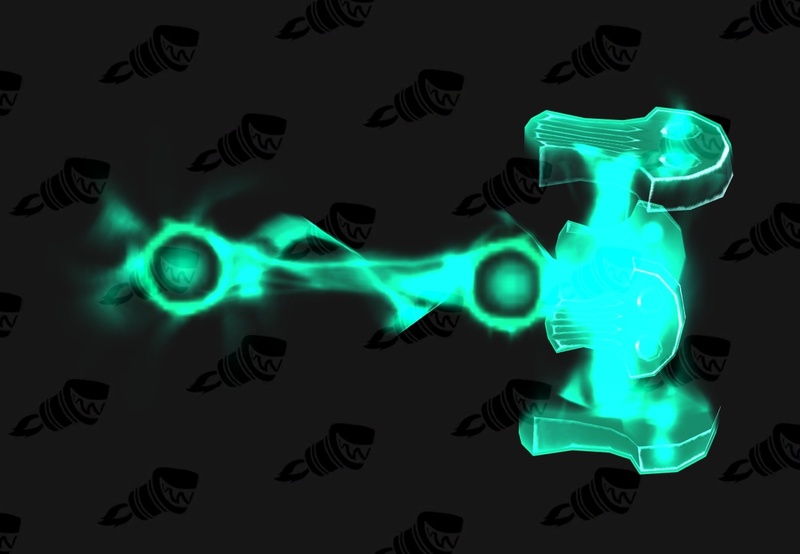 The bosses in the Twisting Nether portal have a chance to drop Bulwark of the Iron Warden, the item that unlocks the hidden appearance. There are 2 parts you need, the first you can get from the Dreamweaver Quartermaster when you reach Exalted with that faction, the other part is unknown at the moment. 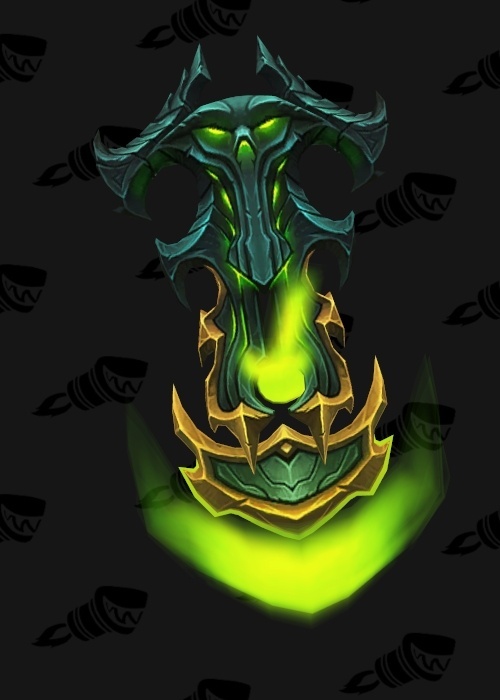 You can get the item that grants the appearance from a drop from Ursoc in the Emerald Nightmare raid. You can even get it in LFR mode. You need to get your Order Hall to tier 2 and pick the Evergreen upgrade, which requires level 105. This allows you to plant seeds in 2 plots of rich soil, which you can harvest every 3 days for helpful items. You have a chance to get Acorn of the Endless whenever you harvest, which is the item that grants the hidden appearance. 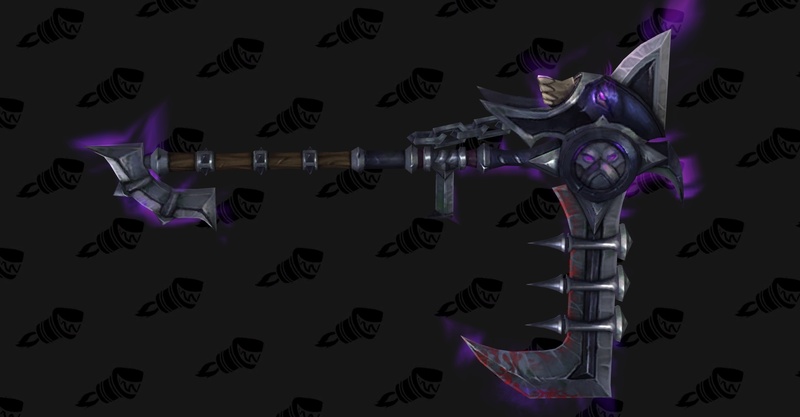 You can buy the item, Designs of the Grand Architect, from Hobart Grapplehammer in Dalaran for 8,000 gold. He is in the Kirin Tor faction, so you can lower the price to 6,400 if you get Exalted with them. You can buy the item, Syriel Crescentfall’s Notes: Ravenguard from Veridis Fallon, the Court of Farondis quartermaster. You must reach Revered rep rank with the Court of Farondis faction before you can buy it. 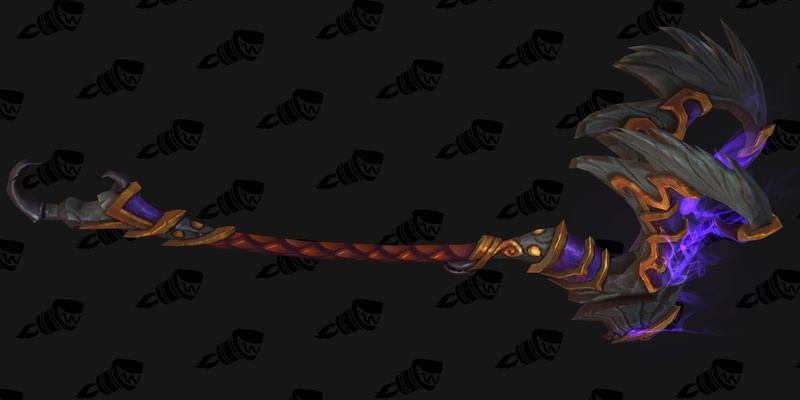 You can get the item, The Star’s Design, from a random drop off Nightborne enemies in Suramar. Rare spawns have a higher chance of dropping it. 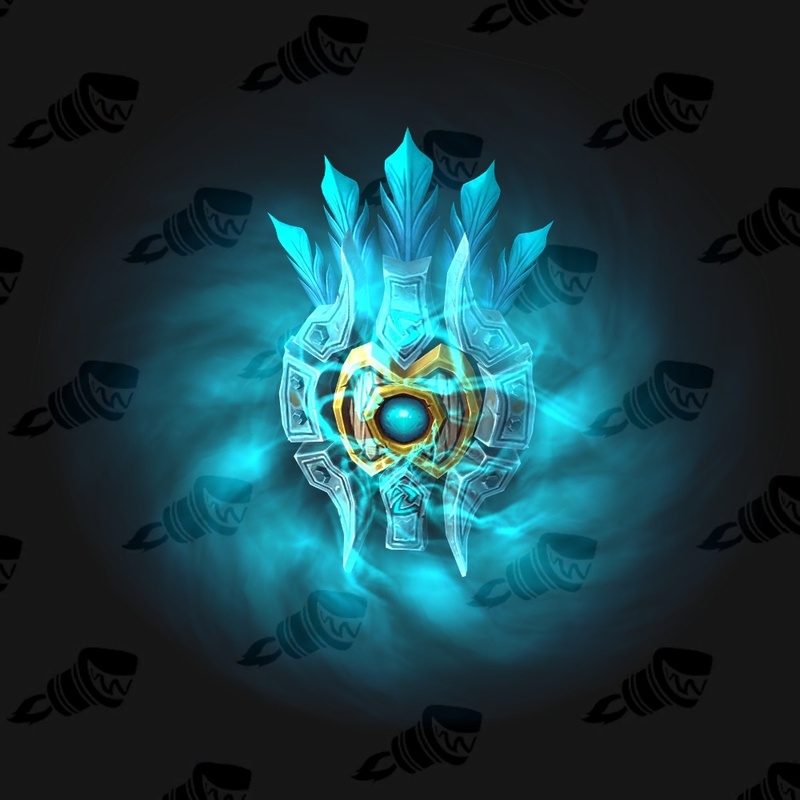 Upgrade your Order Hall to tier 2 and select the Teleportation Nexus upgrade, which requires level 105. Whenever you teleport back to the Order Hall, you have a chance to trigger a message that tells you about a sound at the portals downstairs. Take any of those portals and you will be teleported to a special version of Frostfire Ridge in Draenor. There will be a crystal on the ground that you can loot to give you the Everburning Crystal. Use this to unlock the hidden appearance. Upgrade your Order Hall to Tier 2 and select the Brewhouse upgrade. This lets you loot a Bubbling Keg once a day for an item that provides an ability bonus. Whenever you loot the Bubbling Keg, you have a chance to get the item, Legend of the Monkey King. This grants the hidden appearance. 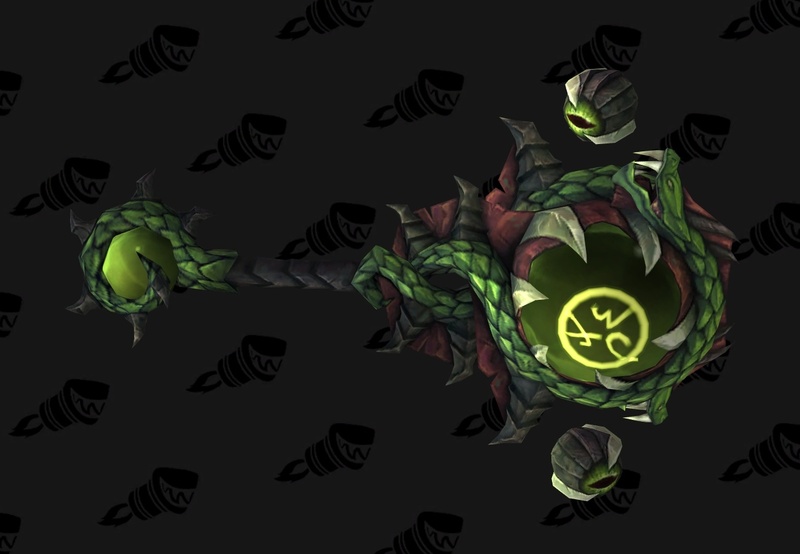 You can get the item, Breath of the Undying Serpent, as a drop from the Dragons of Nightmare fight in the Emerald Nightmare raid. 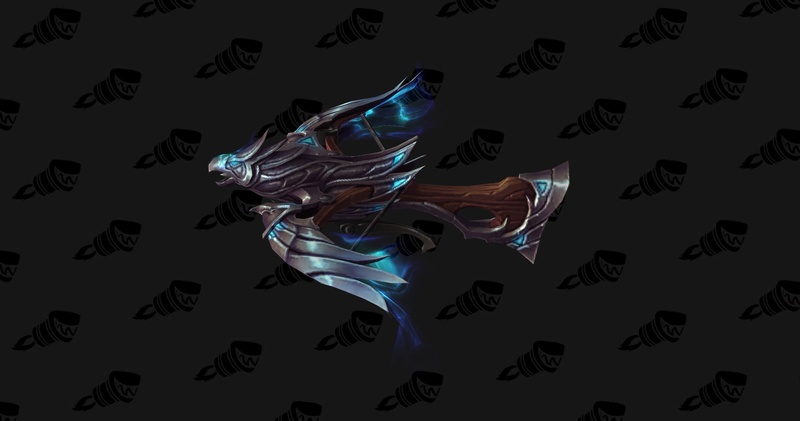 You can loot The Stormfist, which gives the hidden appearance, from the chest at the end of The Collapse scenario in Suramar. 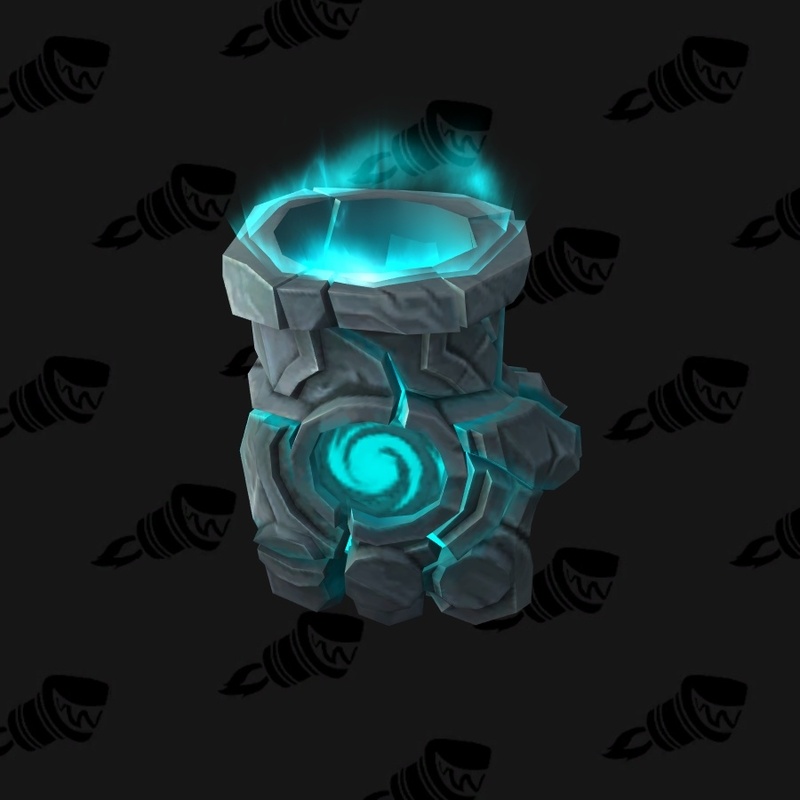 You can get this from the item, Lost Edicts of the Watcher. You can get Spark of the Fallen Exarch from the large chest at the end of The Collapse scenario in Suramar. This requires you to collect 12 items from different locations. New Hearthglen Church in Dragonblight – On top of a bookshelf in the library. Stormheim – Inquisitor Ernstenbok, who is in a cave southwest of Halls of Valor. Stormheim, in the Black Rook Hold Dungeon – On a table in the Map room after defeating the Amalgam of Souls boss. Azsuna – Chief Brittlebine, who is below decks of the ship, “Queen’s Reprisal”. Suramar – Artificier Lothaire, who is in Moon Guard Stronghold. 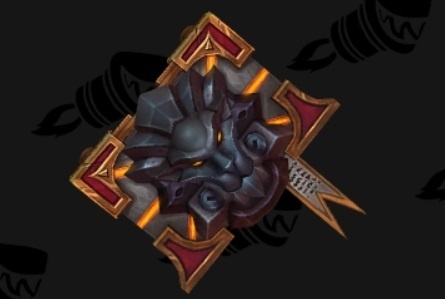 Crest of the Lightborn is dropped by Hyrja in the Halls of Valor dungeon. 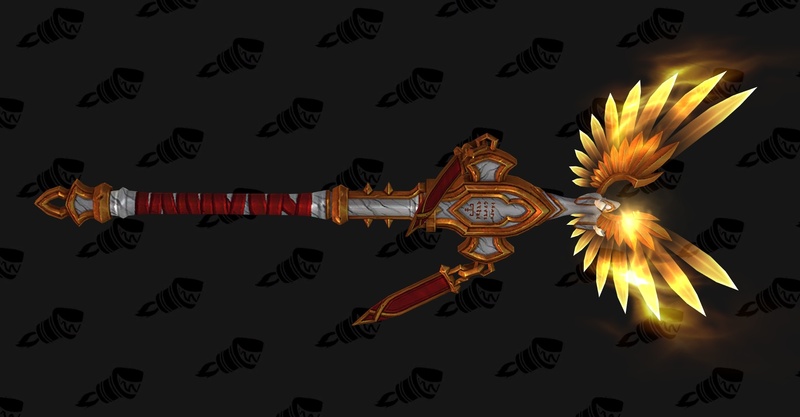 You can buy the Rod of the Ascended from Valdemar Stormseeker when you reach Exalted rank with Valarjar. He is located in Valdisdall, Stormheim. 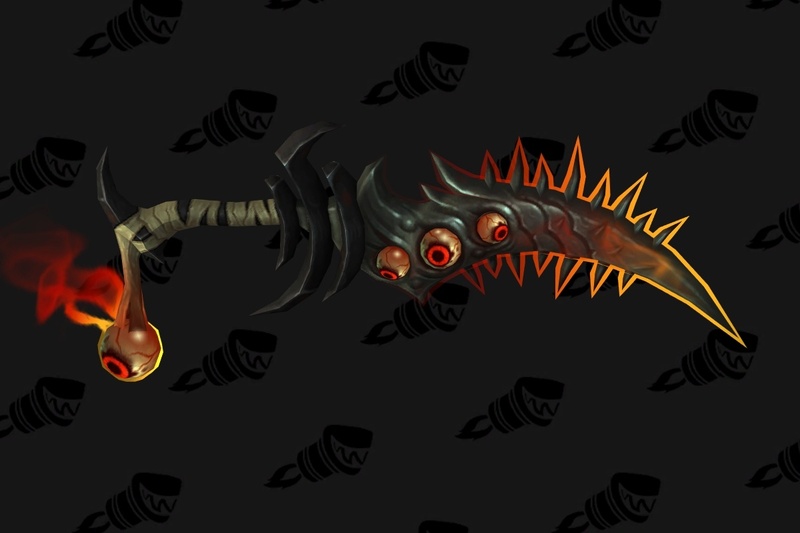 You can get the item for the hidden appearance as a potential drop from Il’gynoth, Heart of Corruption in the Emerald Nightmare raid on any difficulty. 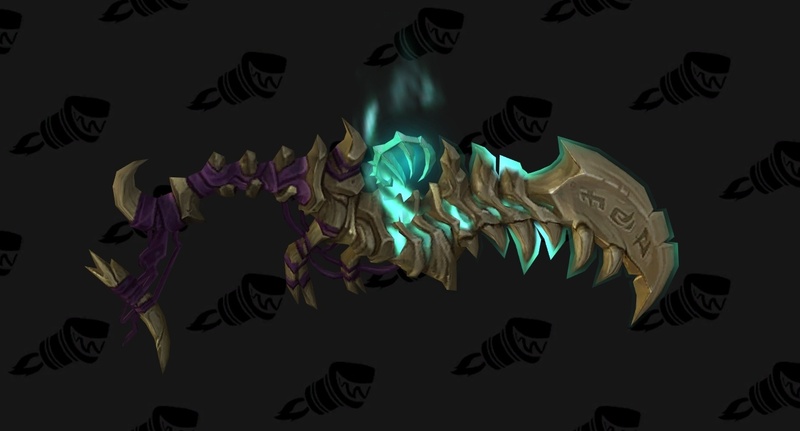 The Cypher of the Broken Bone can drop from rare enemy spawns in the Underbelly of Dalaran. Get your Order Hall to tier 2 and pick The Vault upgrade. This allows you to sometimes get a Vault ticket when completing Order Hall missions. You can turn in the Vault ticket once a week to Marin Noggenfogger for access to the Uncrowned Vault. 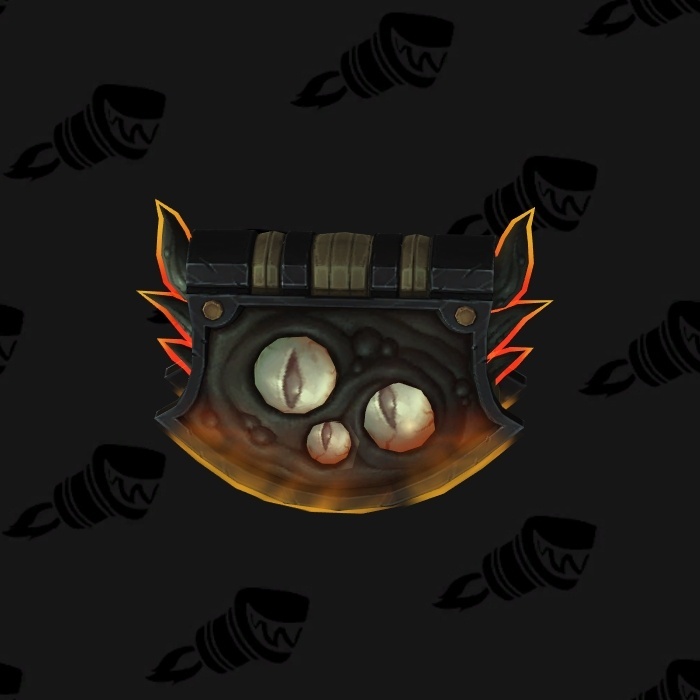 You can also get Marin Noggenfogger’s Lucky Coin sometimes by pickpocketing enemies in the Broken Isles. There is a satchel of keys you want to pick up in the Uncrowned Vault. 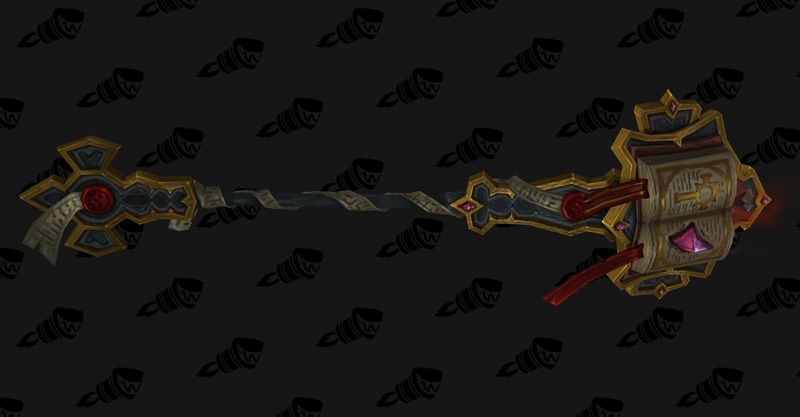 This gives you Key to the Palace of Lei Shen. Speak to Taoshi in your order hall to start the scenario. You need 1 key each time. You can get these from chests, Skumblade Pillager, God-hulk Gulkan, and speaking to Tenwu of the Red Smoke if you reach him before time runs out. You have a chance of getting the item for the hidden appearance every time you open a Lei Shen Burial Trove in the rest area after completing the scenario. 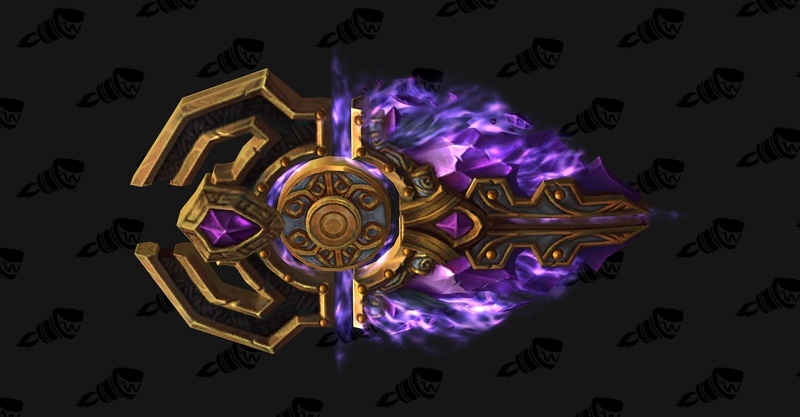 The Lost Codex of the Amani can drop from rare enemy spawns in the Underbelly of Dalaran. 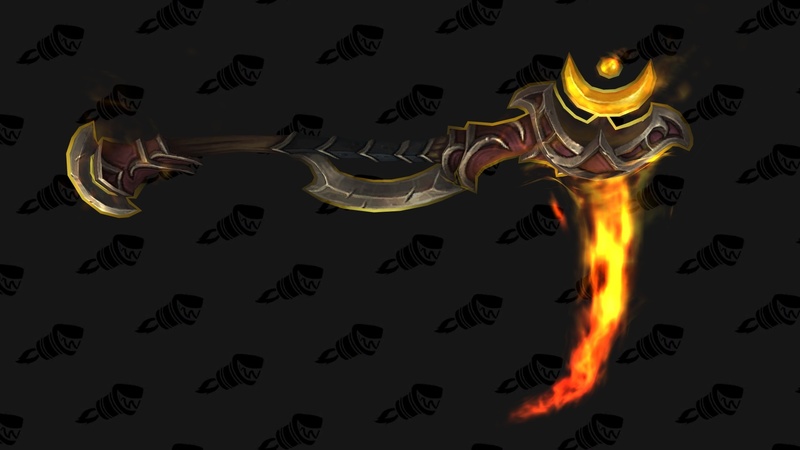 The Warmace of Shirvallah drops randomly from world bosses in the Broken Isles. 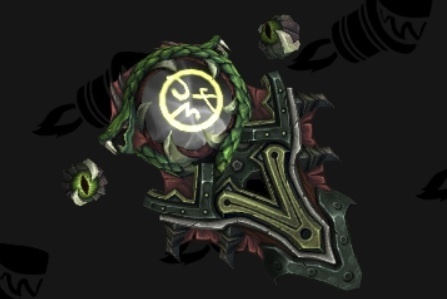 Coil of the Drowned Queen can drop from bosses in the Eye of Azshara dungeon in Legion. First, get the Grimoire of the First Necrolyte, which can drop from Eredar Supplicants in Faronaar, Azsuna. This lets you start the quest, The Grimoire of the First Necrolyte, where you must collect 13 Skulls of the Executed. 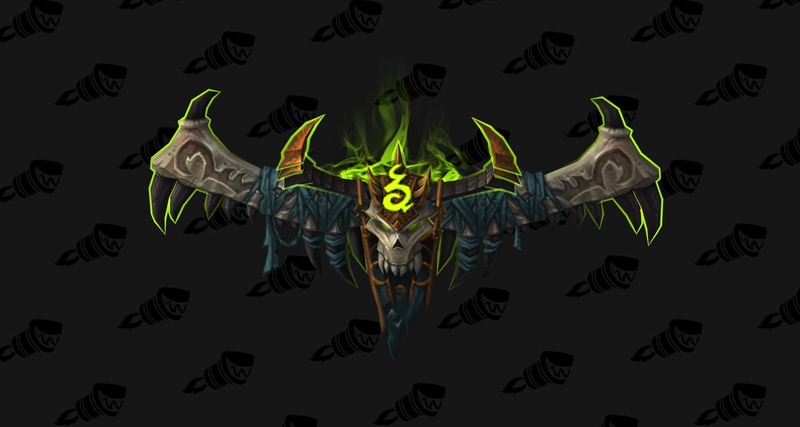 You can get the skulls from Rare Elite enemies in world quests, which usually take multiple people to defeat. Once you have 13, go to the Executioner’s Altar in Deadwind Pass. Summon Sataiel and defeat her to get the item that unlocks the hidden appearance. 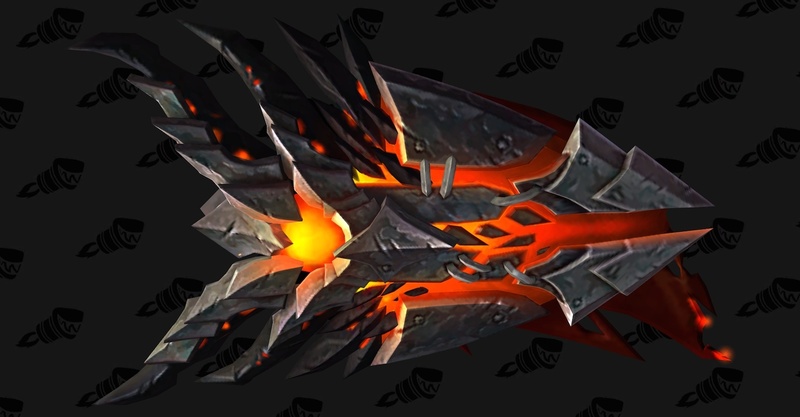 Get your Order Hall to tier 2, then select the Demonic Offering upgrade. This allows you to summon demons for you to fight. 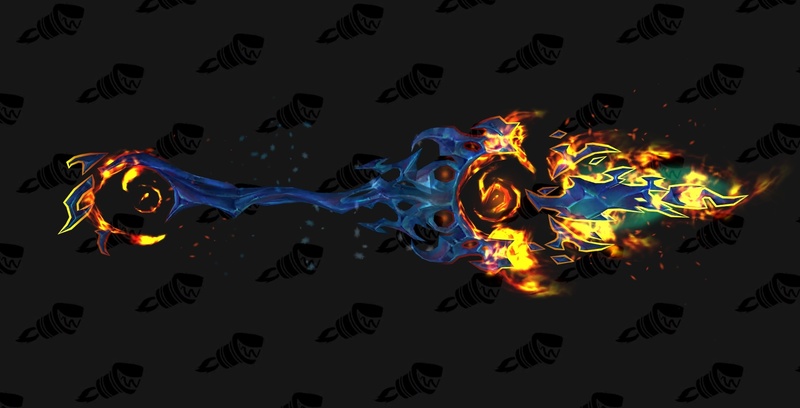 You can get the item needed, The Burning Jewel of Sargeras, randomly from killing the demons you summon. You get this by completing the quest, Secrets of the Axes, but it is not yet known how to get the quest. You need 3 items to create the Dragonslayers. Haft of the God-King is dropped from God-king Skovold in the Halls of Valor dungeon. 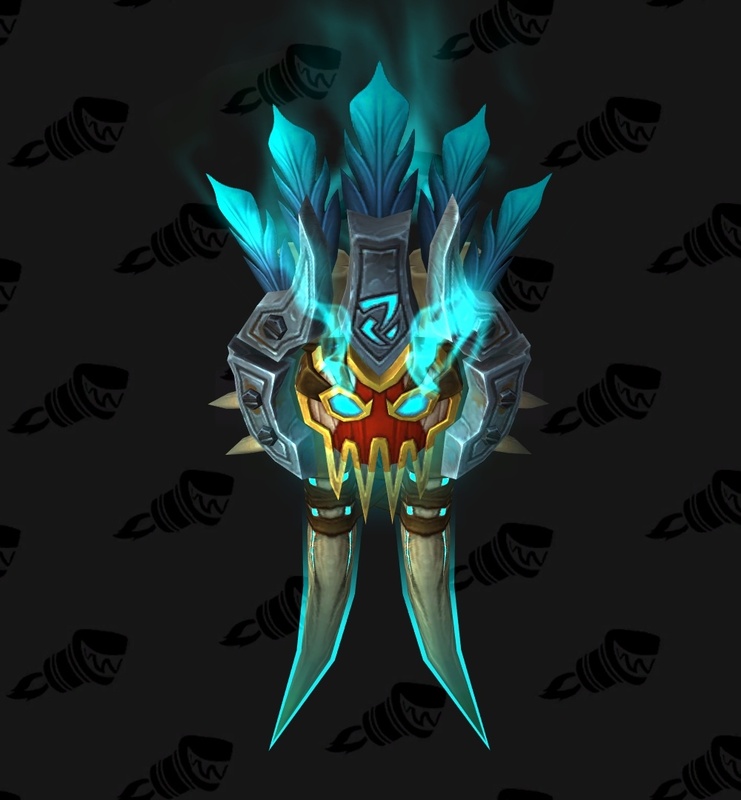 Skull of Shar’thos is dropped from the Legion world boss, Shar’thos. 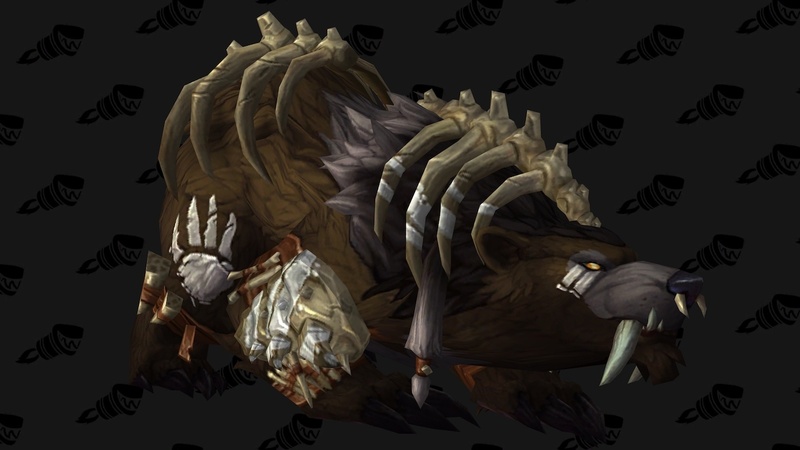 Skull of Nithogg is dropped from the Legion world boss, Nithogg. 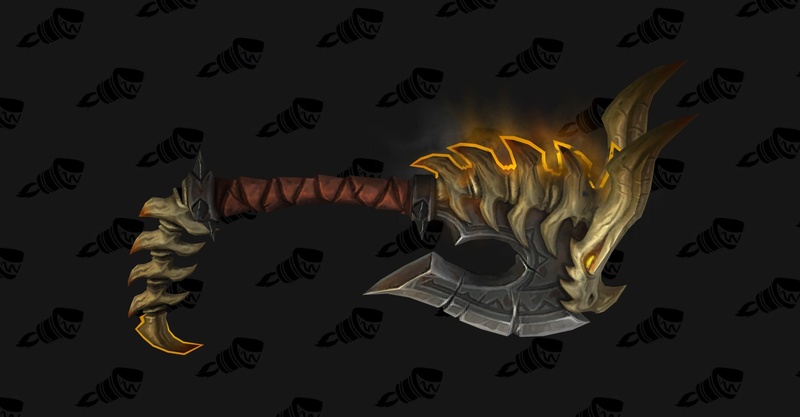 The Burning Plate of the Worldbreaker is found in a cave called Neltharion’s Vault, in Highmountain. It can spawn in the treasure found in the cave. 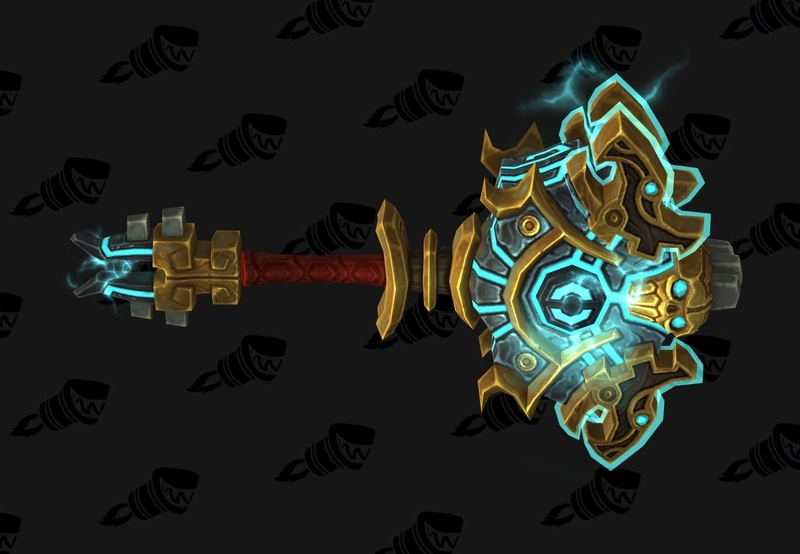 That’s all of the hidden artifact weapon appearances in Legion so far.